Philly’s first Medical Marijuana Dispensary, Restore Integrative Wellness Center was well worth the wait. The state-of-the-art facility feels more like a spa than a medical institution and is well-equipped with a highly-trained and knowledgeable staff, vast assortment of products onsite and virtually no wait times with online ordering coming soon. To learn more about this medical marijuana mecca and the future of these treatments in the area, we sat down with Rob Stanley, the Manager of Restore Fishtown. His biggest takeaway so far? The warm welcome the community has given them. “We have been truly embraced by the city of Philadelphia, the Pennsylvania Department of Health, and the medical marijuana community from the very beginning of this journey,” he says. So well-received that they’ve already opened up a second location, this time in Elkins Park, in October. To shed some more light on the highly debated benefits of the plant, we’ve broken down everything you need to know about Philly’s buzzy bud scene. There are 21 government-approved medical conditions (with three more coming soon) that can be treated by medical marijuana. They range from Autism and Sickle Cell Anemia to Cancer and HIV/AIDs. “Medical marijuana dispensaries aren’t full of a bunch of “patients” sitting around, smoking joints and listening to Bob Marley all day,” says Stanley. “We see everyone from children suffering from seizures, to more mature patients using marijuana for the first time to get relief from conditions like cancer, Epilepsy, IBS, MS and Parkinson’s disease .” Stanley’s even seen communities forming within the walls of Restore. “Restore is a place where people can meet others, who may be suffering from the same condition, and share experiences” he explains. “Our focus is restoring a quality of life—an overall sense of well-being and happiness,” says Stanley. So how do they do it? Personalized treatment plans. Just as any other medical treatment, there’s no one-size-fits-all medical marijuana fix. Patients can meet with an onsite Pharmacist and a knowledgeable and highly trained dispensary agent to determine the best plan of action and which form of the plant they should take. Restore carries flower, extracts, pills, topical and patches. “It’s incredible to watch patients come in for their initial visit, looking for answers and help, and then to see how quickly medical marijuana benefits their lives,” says Stanley. Although Restore opens patients in with open arms, there are some legal boxes that must first be ticked before administering treatment. “We only permit patients with a valid card on them to enter the dispensary,” says Stanley. 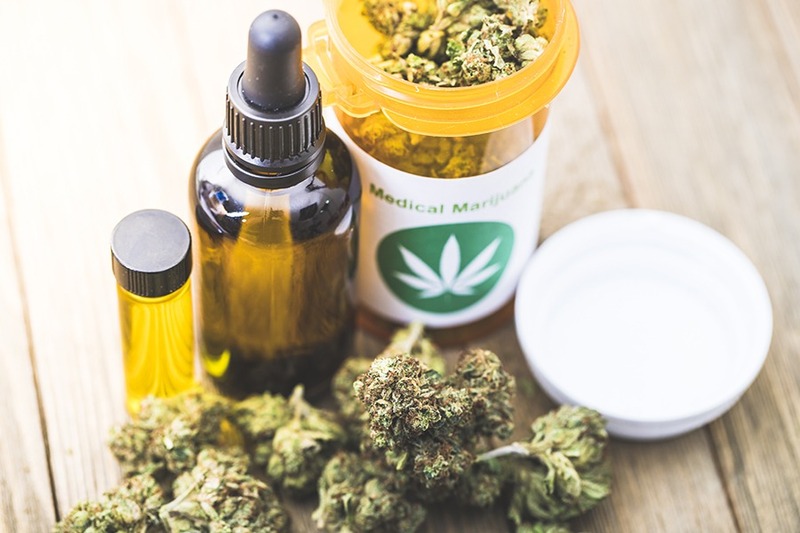 In order to receive medical marijuana a patient must be diagnosed with one of the 21 qualifying medical conditions set by the Department of Health and obtain a medical marijuana card. Patients should go on the Department of Health’s website to create a patient profile then visit a Department of Health registered doctor to prescribe them a card. With their card in hand, they’re welcome to reap the health-boosting benefits of medical marijuana. For more information visit restoreiwc.com or their Elkins Park and Fishtown locations.